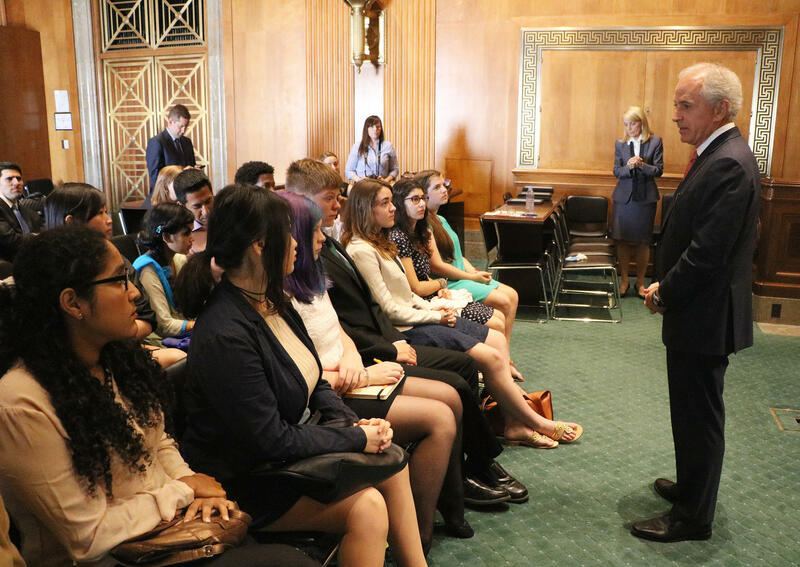 Sen. Bob Corker speaks to students on Capitol Hill in 2015. The Republican from Tennessee has announced he will not seek a third term. 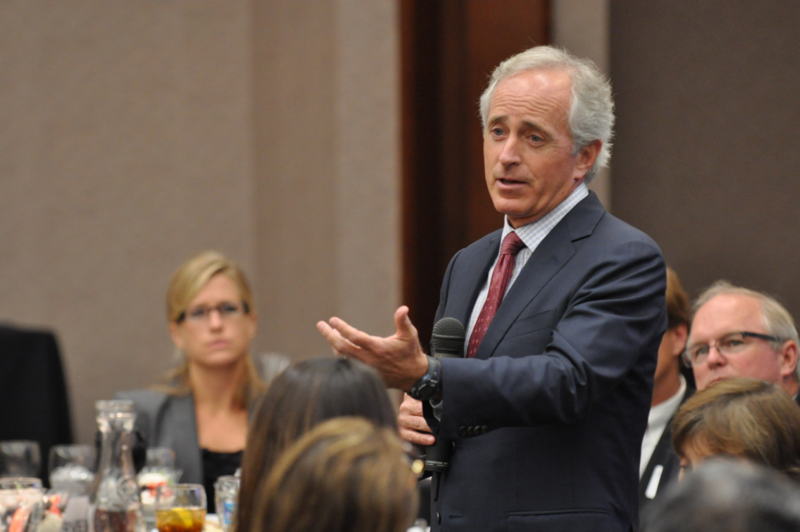 Senator Bob Corker said he is "disappointed" to announce he won’t be voting for the current tax overhaul plan. 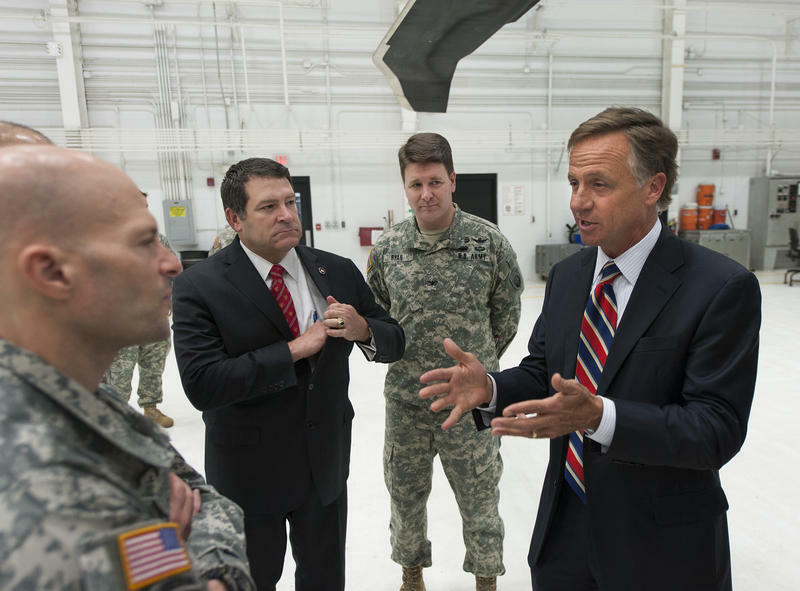 In a statement released Friday afternoon, the Tennessee Republican said he supports a number of provisions in the legislation and that the tax bill could be fixed to be more fiscally sound and still encourage economic growth. "Unfortunately, it is clear that the caucus is in a different place," Corker wrote in a statement. 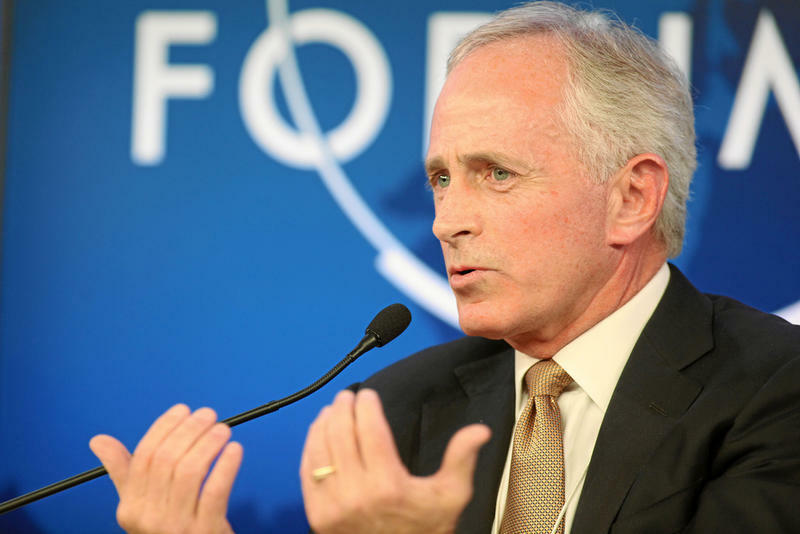 Corker said he can’t cast aside his fiscal concerns about deepening the country’s debt. He has called President Trump to let him know he won’t support the tax overhaul and offered that he could reconsider if the bill is modified before final passage. Even as Congress began debating taxes, Corker was seen as one of the most skeptical Republicans, saying if the proposal added a single penny to the national deficit he wouldn't support it. As of Friday afternoon, Corker was the only Republican to publicly commit to voting no, with a final vote expected in the evening. Tennessee Senator Lamar Alexander says he will vote for the legislation, though his support was never really in doubt. I support the Senate tax reform bill because it is good for Tennesseans’ family incomes in two ways: First, middle-income tax cuts leave more money in the pockets of Tennesseans; Second, taking the handcuffs off job creators will grow the economy, create jobs and raise wages. This post has been updated since originally publishing.